Giving back to the community is important to me. Learn more about our "Handyman for a Day" program and become our monthly winner! As motivated, independent people, we sometimes fall into the trap of believing that the ability to do something automatically means that we should do it. In reality, the inverse is usually a better piece of advice. Just because you can, doesn’t mean you should. This little bit of sage wisdom rings especially true when it comes to home improvement projects. Those of you who have the tools, the knowledge, and the experience to handle home improvement projects on your own, we salute you. You are a rare breed, indeed. Most people don’t acquire the skills or tools necessary to handle those types of jobs. And that’s OK! 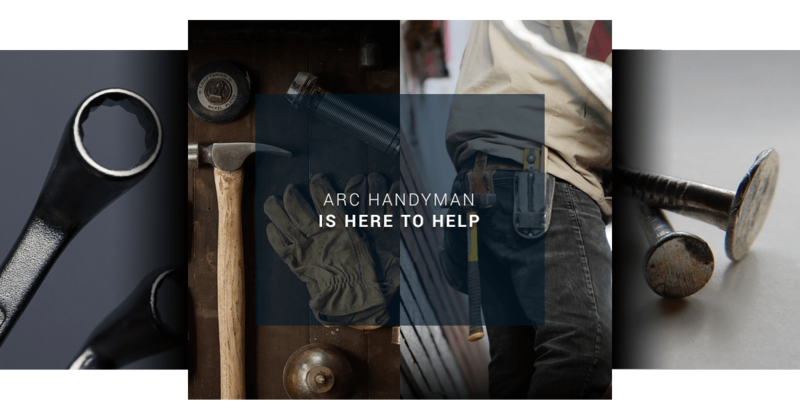 Arc Handyman is here to help. Do-it-yourselfers are a special breed. They are able to envision a project, plan it out, and then execute that plan to create something amazing. But even the hardiest DIYer can still struggle when it comes to home improvement. If the project is small, failing to execute it properly may not be the end of the world. But failing at large projects could have serious consequences. Some major projects require permits and licensing; others, if not done by professionals, will void warranties; some are actually illegal to do by yourself. Here are a few examples of jobs better left to the professionals. 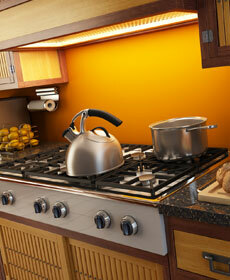 Some homeowners prefer to have a gas range rather than an electric stovetop. If you are one of those homeowners, then more power to you. But be sure to hire professionals to do the installation for you. Gas stoves require electricity and gas to function, meaning that if installation is done improperly, there could be explosive consequences. Hire an electrician to handle the electrical circuits and a specialist to handle the gas line. Also be aware that this type of installation will likely have to be up to code so be sure to follow up appropriately. Planning on replacing old light fixtures or adding new ones? If this project will affect the electrical wiring in any way, you will be better off calling in a professional rather than doing it yourself. Proper procedure, such as having the appropriate permits or licensing, can play a major role in insurance claims should there be a house fire caused by the electrical wiring. If you DIYed your wiring and that set your home ablaze, you may be out of luck. Faulty wiring is one of the primary causes of home fires in the U.S. Don’t risk it; hire a professional. If you have lived in the same home for a while, you have likely had difficulties with your garage door at one point or another. It’s comes with the territory. 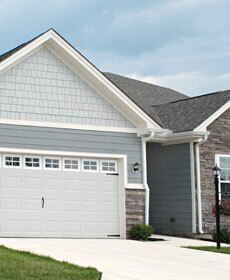 Garage door springs are particularly susceptible to issues. Over time, they lose their tension and will need to be replaced. Sounds simple, right? Not quite. The steps required involve releasing and setting the new spring. One slip, one wrong move, and the consequences could be dire, even fatal. This seemingly simple project is actually quite hazardous and should always be handled by a professional. These are only a few examples of some of the projects that should be left to professionals. If you have a home project that you feel might be too big for you to handle alone, Arc Handman may be able to help. Call us today to learn more about our residential handyman services! © This design is copyright protected. Do not copy.